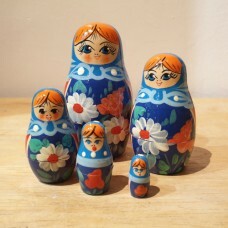 The most popular size giving an interesting set of dolls at a reasonable price. 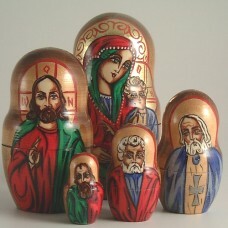 hand made in Belorus - beautifully detailed small size nesting doll with 5 pieces. largest dol.. This set was made in Belorus. Simple design at a good price. Height of largest dol.. 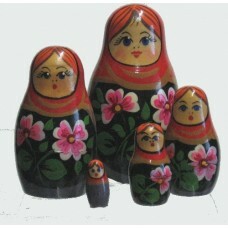 Produced in Belorus this simple little set of dolls comes at a good price! Height of largest d.. Beautifully painted in a mixture of water colour and acrylic paint. A matt varnish makes this .. 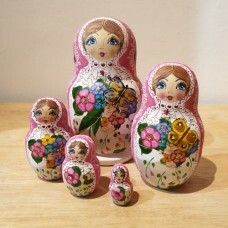 Beautifully painted 5 piece set of dolls in classic style. 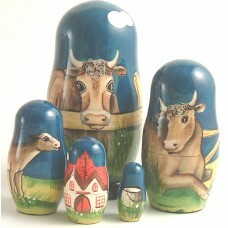 Note that the colour changes with e..
A set showing various animals - Down on the Farm! 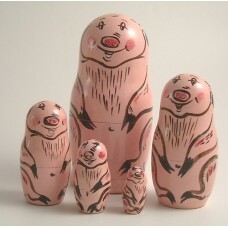 Height of the largest doll is 15 cm..
An unusual set of dolls painted in the style of the great Icon painters. Each doll is different.&nbs.. Simple set of 5 pigs. 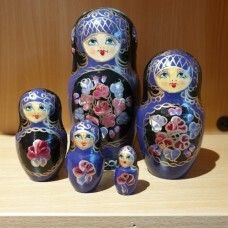 Height of largest doll about 15cm..
A variation on the traditional Semyenov theme. This doll is Pink! Height of the largest .. 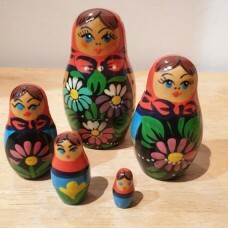 Smaller size set of Russian dolls featuring a winter design - height of largest doll is about 8cms.&..
A beautiful combination of purple and black on this 5 piece set. 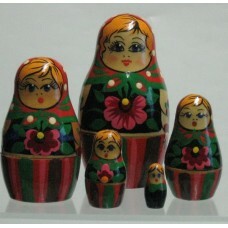 Largest doll is about 15 cms ..